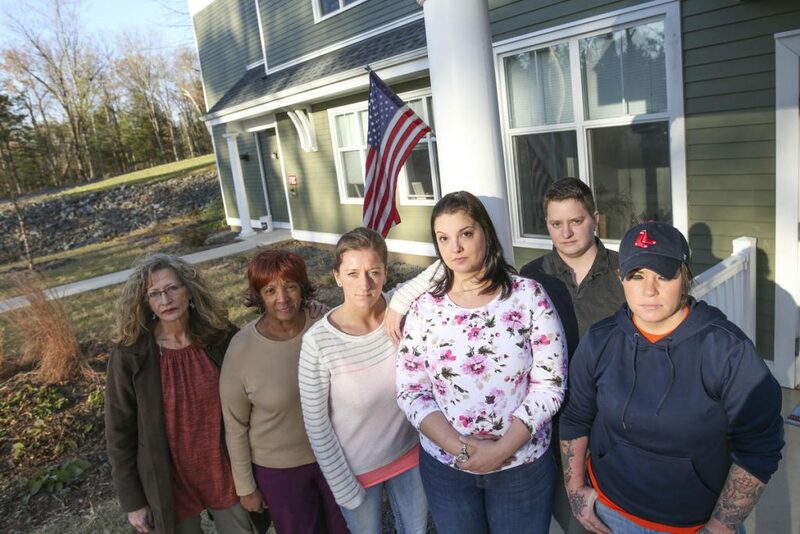 Soldier On, a Leeds, Mass.-based charity aiming to end veteran homelessness, constructed 16 units of transitional housing specifically for women in December 2015 — and they were immediately fully occupied. “I think the need is much bigger than people realize, because it’s so hard to estimate the number of homeless female veterans, because they’re not identifying as veterans. They’re not identifying as homeless,” said Sara Scoco, the director of the women’s program at Soldier On. “They’re oftentimes couch-surfing or staying in these relationships. A lot of women are living in their cars just to try and survive. A lot of women are taking care of families and … they’re too proud to say, ‘I’m homeless. I need help,’ ” Scoco said. So Soldier On became one of the few nonprofits in America to construct housing specifically to meet the unique needs of female vets. The $3.1 million building in Leeds features four suites of four bedrooms for a total of 16 rooms. There’s a shared living room, and the building sits on the Northampton VA Medical Center campus, which agreed to a 75-year lease to Soldier On for the housing property. Women can stay for months or years at a time while they seek treatment, go back to school, save money or try to land a job, Scoco said. Most have experienced some kind of abuse, said Scoco, including about 80 percent who are victims of military sexual trauma. As word has spread, Scoco said Soldier On fielded calls from Colorado, Texas and as far away as Hawaii. The organization receives funding from the VA, among other sources. And it is hoping to receive state money to build permanent housing specifically for women vets in Pittsfield. The organization started in 1994 as United Veterans of America. As its men’s program grew, women also began to seek services, leading to the launch of the women’s program in 2005, which was mainly a separate unit within the men’s housing. PITTSFIELD — In the coming year the city will see new housing for female veterans and another Verizon cell tower after the Zoning Board of Appeals approved special permits for the projects on Wednesday. Soldier On’s housing project will consist of a two-story, 8,850-square-foot building at 402 West Housatonic St. with units that are 450 to 490 square feet each. The agency also runs a 16-unit transitional housing program for female veterans in Leeds, and the Pittsfield building will serve as an option for those women when they are ready to move on to more permanent housing. The residents will own shares in the building, intended for families with an income of less than $26,000 a year. Construction on the housing project will begin in about a year at the earliest. Alvin Buckley, employment specialist for the Soldier On organization, is served in the Marines and is an Iraq war veteran. Soldier On helped Buckley get his life on the right track after returning from combat. Alvin Buckley chose to become homeless. He chose to after realizing what nine months at war in Iraq had done to him. So for months in 2008, he lived in the woods at Lefleur’s Bluff State Park in Jackson. One night Buckley phoned the mother of his child. They talked for a few minutes. His hands trembled, but he kept his words smooth and steady. Then he heard the jibber jabber in the background of his infant daughter. To him, it was the clearest voice he had heard in a long time. He talked a couple of minutes longer, hung up the phone and put away the 9mm pistol that he had loaded with the intention of ending his pain. The gentleman at the conference table rises to shake hands. He is soft spoken and well dressed: Dark suit, white shirt, dark tie. 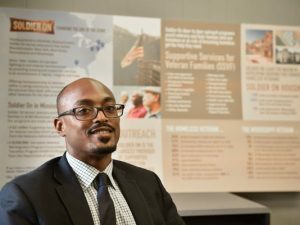 He is the employment specialist with the Jackson-based office of Soldier On, a nonprofit in five states that helps veterans who are homeless, unemployed, incarcerated or suffering from post-traumatic stress disorder. In his job, he has met dozens of Alvin Buckleys. Alvin Buckley, 33, smiles as he speaks those words. He has found his calling — and himself. 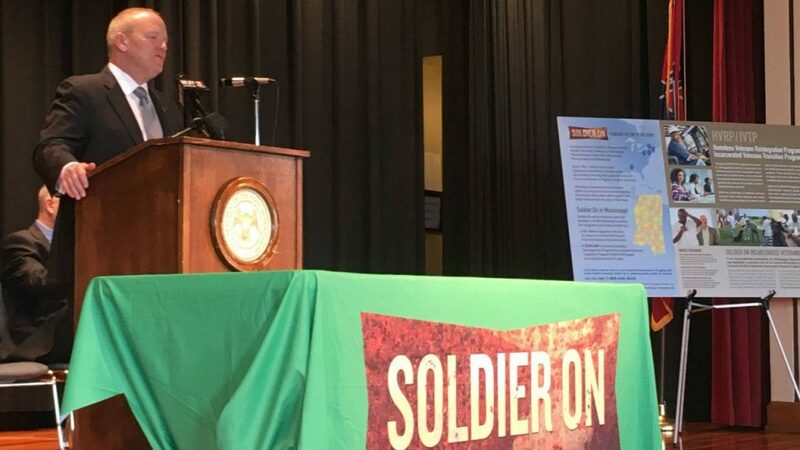 Soldier On, founded in 1994 and funded primarily by the U.S. Department of Veterans Affairs, is focused on “changing the end of the story,” says Hayes Dent, the organization’s senior vice president and a Yazoo City resident. Dent is a veteran of the first Gulf War and recipient of the Bronze Star, awarded for heroic achievement, heroic service, meritorious achievement, or meritorious service in a combat zone. “How many times have we heard the story about the veteran who couldn’t adjust after making it back home?” Dent says. “We want to help them adjust and get their lives back. For me personally, it’s about not leaving anybody behind. Twenty-two veterans commit suicide every day. Sixty-five percent of those are age 50 and older. More than half of the 22 are usually not under the care of VA health professionals. Approximately 220,000 veterans reside in Mississippi. Soldier On is in the process of building 60 permanent housing units in Jackson for homeless veterans. Another facility is in the works on the Gulf Coast. 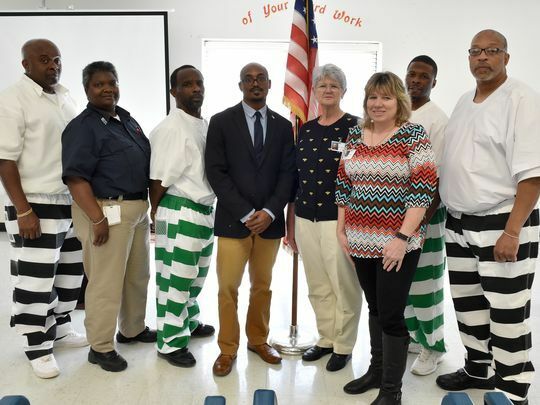 The Mississippi Department of Corrections has created a separate unit at the Central Mississippi Correctional Facility in Rankin County where veterans who are nearing release from any state-supervised facility are offered life skills training by Soldier On staff members to help them transition back into society. Carlos McGee, 47, is one of that program’s success stories. He served 10 years for drug convictions in Forrest County. He now works at Ingall’s Shipbuilding in Pascagoula as a joiner. “My life is awesome,” he says. “I have a car and a truck. I’ve moved from an apartment to a house. I like my job. I have a girlfriend. I have a little bulldog named Lady. McGee grew up near Hattiesburg, graduated from North Forrest High School in 1987 and joined the Marines a year later. He served in Japan, Korea and Okinawa as a nuclear biological chemical defense specialist. “I liked the job because not everyone could do it,” he says. He stayed in four years and eventually returned to Mississippi in the mid-1990s. “I worked a few jobs, had a couple of kids along the way, went to school at (the University of Southern Mississippi) but didn’t graduate. Then I got into trouble and spent nine-and-a-half years basically in a cage. When he was introduced to the Soldier On program a few months before his release “I wanted no part of it, “he says. But the more he went to class, the more he saw the benefits. He learned basic things like how to balance a checkbook, maintain a budget, pay your bills on time. He studied more complex issues such as anger management and conflict resolutions. “Once I got out, they helped me with living arrangements, clothing, transportation. “If that program hadn’t come along … my life would’ve been ugly,” McGee says. “I was headed for destruction because I had no dreams or aspirations. I thank God for the people from Soldier On. So, too, does Alvin Buckley. He was raised in a strict household, the youngest of five children and the only boy. “My dad and me, we were outnumbered on everything,” he says with a laugh. Buckley graduated from Lawrence County High School in 2002. He studied architectural drafting and carpentry at Hinds Community College and Jackson State. He joined the Marines in 2004. “It had been on my mind since 9/11,” he says. Buckley recalls the day he left for boot camp at Parris Island, South Carolina. Each recruit was given one phone call home. Buckley trained in infantry and artillery. He was sent to Iraq in 2006. Buckley performed reconnaissance for a security convoy. A few weeks into his deployment, a vehicle in their nighttime convoy ran over a crudely made bomb. When Buckley’s sergeant got out of the vehicle, Buckley scrambled to cover him. That was Buckley’s closest brush with death. He returned to the U.S. in February 2007 and immediately joined a reserve unit that was training to go to Iraq. “I couldn’t wait to go back,” he says. A few weeks after coming home, he was riding with his daughter and her mother. He spotted a plastic grocery sack in the road and he pulled the car over. He got out and tried to stop traffic from both directions. The police came, calmed Buckley down and eventually let him head home. A fellow Marine he met at a job fair convinced Buckley to seek counseling at the VA hospital. “We’re sitting there and all of a sudden my daughter’s mother starts telling the counselor all this stuff I’ve been doing. She said I would wake up in the middle of the night and maybe grab her. She said one night I woke up, got out of bed, went outside for 45 minutes, then came back to bed. I was making sure our home was secure. That’s when Buckley headed to the woods of LeFleur’s Bluff. He drank a lot. The alcohol helped numb his constant migraines. He showered at a gym where he was a member. He enrolled in cosmetology school. He became a licensed cosmetologist, massage therapist and barber. “In 2010, I took all three of those before my military review board, all in an effort to try and persuade them that I was OK, hoping they would let me go back to Iraq,” he says. The board denied his request. He left the reserve unit in 2011, still battling PTSD. Buckley opened a day spa. The building cost him $1,900 a month in rent. He had moved into an apartment, which was $900 a month. He again phoned the Marine from the job fair. They met. Buckley opened up about his problems. The Marine informed Buckley about Soldier On. He began going to therapy and taking the life skill classes. About a year ago, a case manager at Soldier On reached out to Buckley with a job offer that involved driving fellow veterans to and from doctor appointments. That led to his present position, helping veterans apply for jobs. “I have to tell you this story,” Buckley says near the end of a two-and-a-half hour interview. “I drove one of our veterans down to Ingalls to apply for a position. He had to take a test, which should’ve lasted a couple of hours. Well, he was out in 30 minutes. He told me, ‘This just isn’t going to work out for me. I’m ready to go home,’ ” Buckley says. “The person who had run the session was one of Ingalls’ main recruiters. Buckley flashes a huge smile. “They hired him,” he says. “They … hired … him. And that’s when I realized that even though I went through some rough patches, I can make a difference in other veterans’ lives. And I intend to do that for as long as they will let me. PITTSFIELD, Mass. 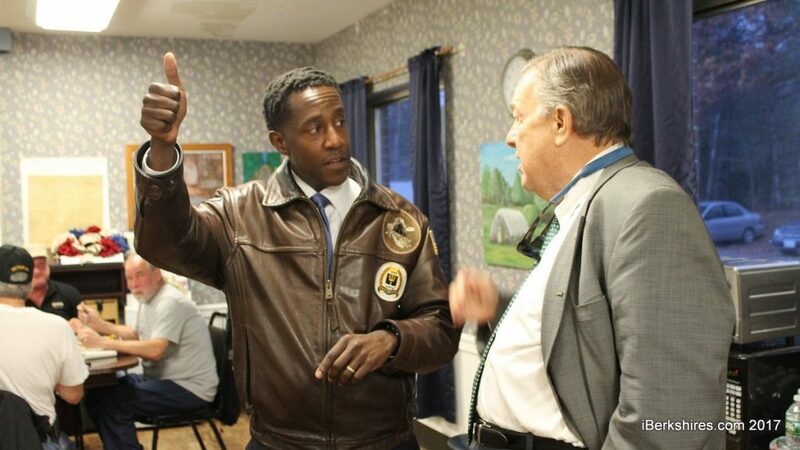 — If Setti Warren is elected governor, he wants a veteran sitting in his cabinet. The Newton Democrat has put forth a proposal to pull the veterans services secretary job out from under Health and Human Services and provide veterans with their own seat at the table. “I believe we need to build on the success and create a veterans affairs secretary and military families at the full cabinet level. This cabinet secretary will report directly to the governor and be integrated into all of the decisions being made,” Warren said on Thursday when he stopped in at Soldier On. The plan would be to create a secretary for veterans and military families. The Newton mayor said his veteran services officer answers directly to him and it has worked out well. He said it has increased accountability and allows veterans to have input on decisions that are often made without them. Soldier On President Jack Downing was particularly intrigued by it because when it comes to decisions about transportation or other issues, ways to smooth out providing services for veterans aren’t thought about until it is too late. Three years ago, Soldier On received a $2 million transportation grant from the Federal Transit Administration. The non-profit had partnered with the Berkshire Regional Transit Authority to provide rides for veterans to such things as doctors appointments. However, Soldier On can’t expand that to other parts of the state. It has to work with each regional transit authority on a new program. “We have to go region by region because there is nobody sitting at the table with the governor saying, hey governor we have this transportation bill why can’t we tie into all these FTA grants?” Downing said. He added, “It is not that people don’t want to do it, we just weren’t at the front of the planning.” He hopes that the process of providing transportation for veterans can be a whole lot smoother. When it comes to family services, Downing said often families can get lost in the programs. Somebody overseeing that at a higher level can help craft policies that work better for providing those services. “They fall through cracks in terms of income for social welfare programs. They have special needs that have to be met and it is very difficult to get there,” Downing said. Warren sees the new secretary position as one to weigh in on all of those decisions. Whether it be transportation or education or housing, Warren wants more input from the veterans. “This will build on the success we have had here in Massachusetts,” Warren said. The candidate has a particular interest in veterans affairs because he is the third generation in his family to serve. He enlisted in the Navy Reserve after the World Trade Center attack and served nine years. In 2007, he was deployed to Iraq. “My dad was a veteran. I’m an Iraq War veteran. My daughter was born during my deployment. I know a lot of service members that faced challenges,” Warren said. He emphasized, however, that Massachusetts is providing excellent services for veterans now. He just wants to enhance that even further. Warren is seeking the Democratic nomination for governor. He is one of three Democratic candidates who have tossed their hats into the ring to challenge Republican Gov. Charlie Baker next year. The others are Bob Massie and Jay Gonzalez. ENFIELD — Jaime Longolucco and Dwayne Marquis are inmates. But before serving time in prison, they served America. “I was charged with larceny and burglary,” says Longolucco. He was in the reserves for the Army, and then after went into law enforcement. “I was arrested for possession of firearms,” says Marquis. “So that got me forty months in jail.” He is ex-military, 169th 11th Bravo, serving 5 years at Fort Benning Georgia. The Cybulski Reintegration Unit in Enfield has three different groups targeted at helping inmates for life after prison. One group is for inmates nearing their release date, the second is for DUI offenders, and the third is specific for veterans like Longolucoo and Marquis. Tarascio believes in order to be successful, the inmates need to have a structured routine. The reintegration unit opened in 2015, and has been evolving over the past couple of years. Four months ago, Soldier On, a non-profit group for veterans was introduced into the program. Alexis Truslow , the Mental Health Clinician for Soldier On, says the work she has done with the veteran inmates has been some of the most rewarding work she has done in her career. Longolucco is serving his first prison sentence, and he says this program has changed his life. For Marquis, this is his sixth time behind bars, but he says this will also be his last. Marquis and Longolucco are set to be released within the next five years. They say they are determined to change the direction of their life with the new tools they have picked up in their time in the Cybulski Reintegration Unit. Being incarcerated can be mentally grueling and Warden Tarascio says that also being a veteran adds an extra degree of difficulty. “I think it is a difficult scenario because they are a veteran, and they served this country, they fight struggles that other inmates don’t,” says Tarascio. That is why groups like Soldier On, are committed to trying to help incarcerated veterans. The inmates in the Cybulski Reintegration Unit spend roughly ten hours a day working to change who they were when they first came to prison, knowing full well that type of change takes hard work and dedication. Tarascio says he hopes his inmates will continue to take advantage of the opportunities they are provided with, as he tries to serve those, who once served this country. Each November 11th, we honor veterans on Veterans Day. But the entire month of November is also Military Family Appreciation Month. CHICOPEE, Mass. (WWLP) – Each November 11th, we honor veterans on Veterans Day. But did you know that November is also Military Family Appreciation Month? This week on 22News InFocus we’ll be talking about the unique challenges faced by military families, active duty personnel and veterans. Even when we are not at war, they deal with stresses such as frequent moves or the absence of a spouse or parent. Deployment to a war zone creates additional issues for a family to handle. Our panel of guests represent programs that provide services and resource to support families, active personnel, and veterans. You can watch 22News InFocus this Sunday at noon, LIVE on the air or streaming on your mobile device using the 22News app. And if you miss it, you’ll find it on our website at WWLP.com. Below are links and contact information from our guests. Use them to learn more about support services for military families, active military, and veterans, or to find out how to make donations or volunteer. JACKSON, MS (Mississippi News Now) – Mississippi has an estimated 220,000 veterans in the state, many of them are homeless. A national organization, with funding from the Veteran’s Administration, is working to identify and find permanent homes for Mississippi’s homeless population. A stretch of abandoned structures on Livingston Road could soon be transformed into permanent housing for homeless veterans. That’s the plan of Soldier On, a nonprofit organization funded by the VA. It is headquartered in Pittsfield, Massachusetts and began offering transitional housing and support services to veterans in 1994. The program is currently in six states. The Veterans Administration’s Supportive Services for Veteran Families (SSVF) grant is providing $2 million in Mississippi for housing. Soldier On is coordinating efforts to build 60 permanent housing units for homeless vets on eight acres across from the Jackson Medical Mall. “I’ve seen veterans that are staying under bridges, staying in parks,” said Soldier On Employment Specialist Alvin Buckley. Just over three years ago, the Marine Corps vet was on the verge of being homeless, but today, Buckley works with Soldier On’s finding jobs for vets. The organization has worked with 1,200 homeless veterans in the state. Soldier On also works with incarcerated veterans at the Central Mississippi Correctional Facility in Pearl. The program offers 30 hours of weekly instruction on coping strategies, conflict resolution, substance abuse and more. The Labor Department is providing $200,000 for that program. If you are a veteran needing help with housing, health care or substance abuse, call Soldier On at 1-800-406-8449. BY DESARE FRAZIE. A national organization focused on helping Mississippi homeless veterans is announcing new plans, including building housing in Jackson. Beth Borsage is a case manager with Soldier On, a non-profit based out of Massachusetts. Her territory is the Gulfcoast. She doesn’t work out of an office. Instead she gets her assignments in daily emails. “The message will get to us to call this person and make an appointment and go to where they are and help them wherever they’re at. If they’re living by the railroad tracks or living in an apartment they’re about to loose. We go there,” said Borage. Borsage says they’ll pay the deposit and rent for an apartment and help vets get the benefits they’re entitled to. John Downing is with Soldier On. He says the non-profit is the largest provider of supportive services for veterans in the country. Downing says they’ve been in Mississippi five years and have helped more than 4,000 veterans. He says they have partnerships and receive grants from agencies like the Veteran’s Administration. Downing says they want Mississippians to lead the effort now. “We extracted the Massachusetts experts out, put in the local experts and now this should grow to be the face of Mississippi,” said Downing. Mississippi Veteran Hayes Dent heads the state’s operation. He’s says they’re adding more partners and in talks to develop a 60 unit permanent housing community in Jackson by 2019. “If you look at our housing, the housing that we’ve built all over the country. It’s the kind of housing you’d want to live in. Nothing that we build at Soldier On anyone would shamed of living in,” said Dent. Among the other services offered Hayes says are peer counseling and a program for veterans in prison at the Central Mississippi Correctional Facility. 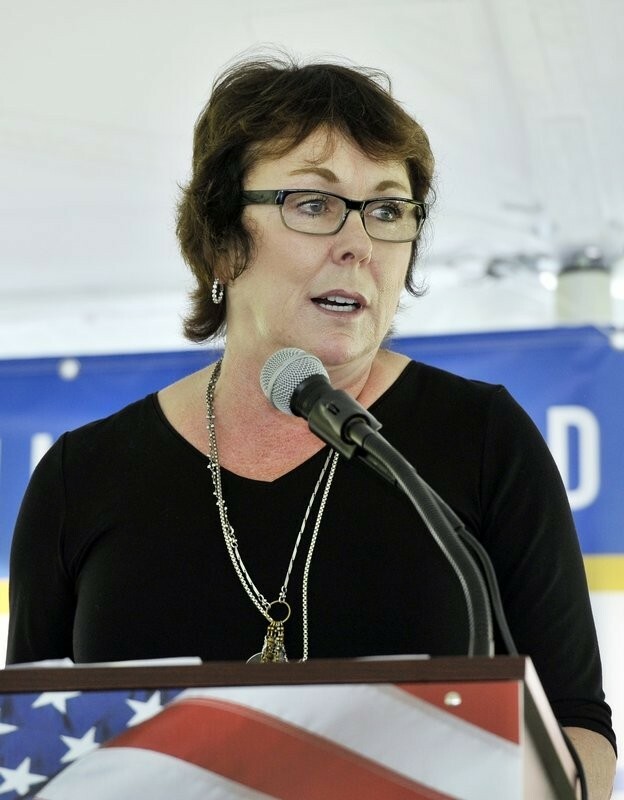 Dedication ceremony for Agawam ‘Soldier On’ facility brings hope and homes to vets. 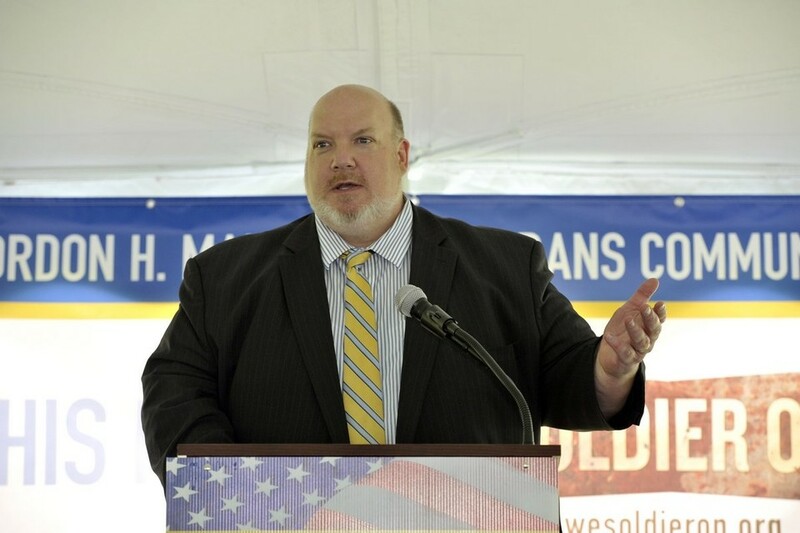 AGAWAM — Soldier On, the Pittsfield-based nonprofit dedicated to ending veteran homelessness by providing permanent, supportive, sustainable housing, held a dedication ceremony Monday afternoon at the Gordon H. Mansfield Veterans Community facility, 702 South Westfield St., in the Feeding Hills section of Agawam. 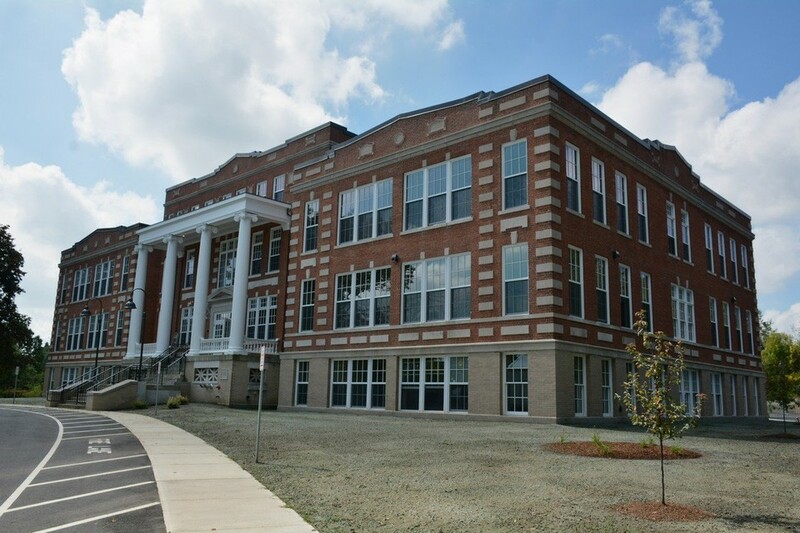 The former Western Massachusetts Regional Police Academy has been transformed into affordable housing for 51 veterans, including 49 partially furnished units in the renovated academy and two units in a new annex to the building. U.S. Rep. Richard E. Neal, D-Springfield, Agawam City Council President James P. Cichetti, and state Secretary of Housing and Economic Development Jay Ash were among those who spoke at the dedication ceremony. 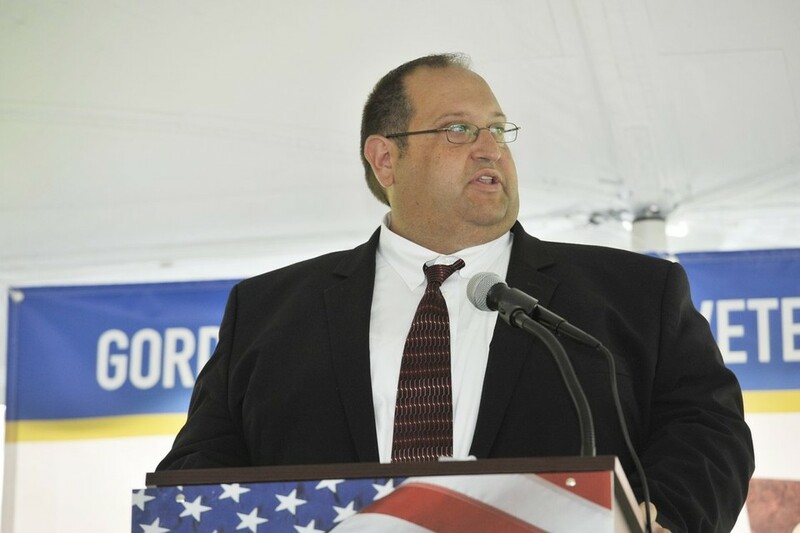 In the absence of Agawam Mayor Richard A. Cohen, who was traveling back from Boston at the time of the event, Cichetti welcomed the large crowd of dignitaries to Agawam for the ceremony, including veterans and local and state officials. “On behalf of the City of Agawam, welcome home,” Cichetti, who’s running for mayor, said to the veterans. The candidate praised former state Rep. Rosemary Sandlin for getting the legislative process rolling. 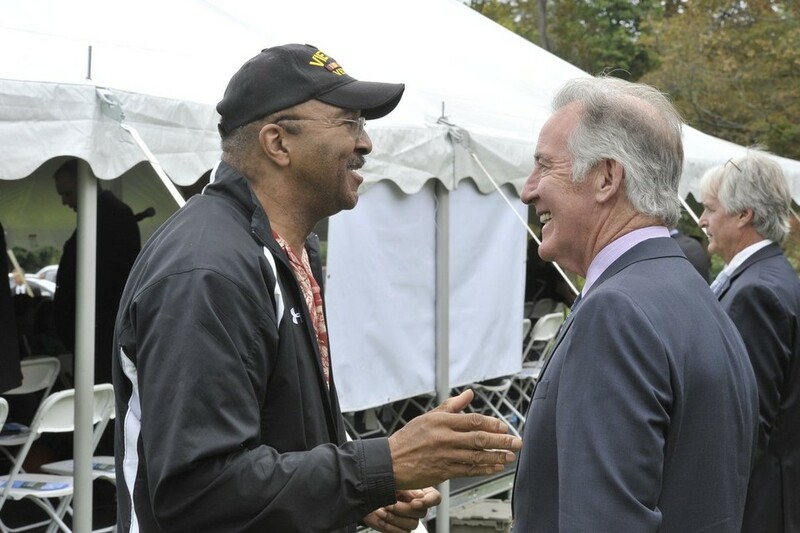 Ash credited Congressman Neal for his ability to get things done for his constituents in Western Massachusetts. “Richie Neal is legendary for delivering things back home to his district,” Ash said. State Sen. Donald F. Humason Jr., R-Westfield, state Rep. Nicholas A. Boldyga, R-Southwick, and state Secretary of Veterans’ Services Francisco A. Urena were among the many officials in attendance. 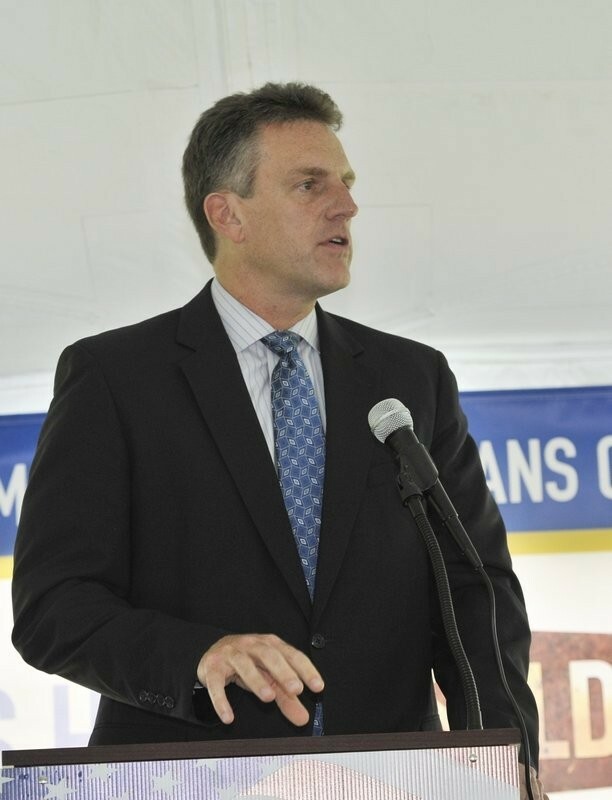 When it was Neal’s turn to speak, he said the dedication of the new facility marked a “great day for Agawam and a great day for Soldier On.” Neal, dean of the state’s congressional delegation in Washington, praised Agawam officials for making the necessary zoning changes to accommodate and support the project. Linda Mansfield, a member of the Soldier On Board of Directors and wife of the late Gordon H. Mansfield, whom the building is named for, was also on hand. 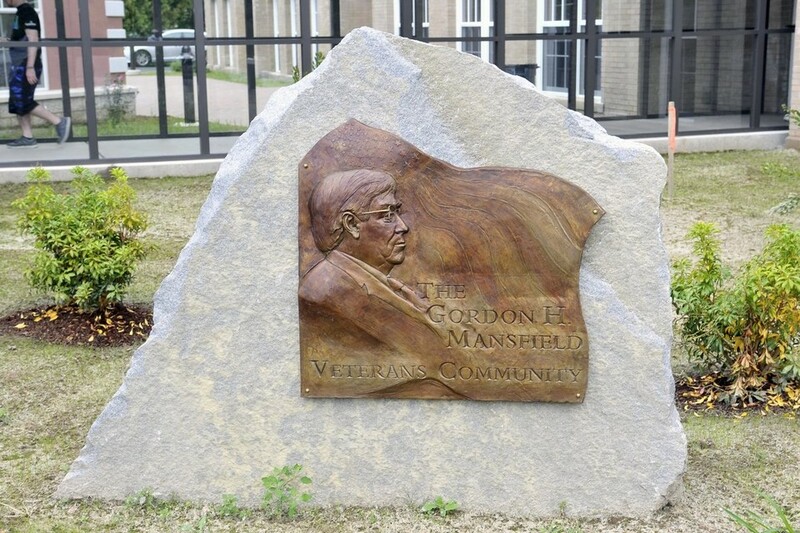 Gordon Mansfield, a former deputy secretary of Veterans Affairs, was a Pittsfield native and highly decorated Army veteran who survived two tours of duty in Vietnam. As company commander of the 101st Airborne Division, Mansfield sustained a spinal cord injury during the 1968 Tet Offensive, for which he received the Distinguished Service Cross — the second-highest personal decoration for valor in combat. In July 2010, the former police academy building was transferred to Soldier On through state legislation, allowing for the development of permanent affordable housing for veterans at the Agawam site. The Agawam project was approved in 2015, with construction beginning in March 2016. The roughly $14 million project was financed through state and federal historic tax credits, in partnership with companies such as Citizens Bank and the Stratford Capital Group. Soldier On staff will be on site to provide daily support to veterans. The organization also has facilities in Pittsfield, Northampton and Chicopee. A unique program is trying to ensure veterans who’ve served time in prison don’t face a tough battle for a job when they’re released. Soldier On, a nonprofit organization based in Massachusetts, runs an incarcerated veterans program focused on training and preparing inmates for life after prison. The program is now in its third year after recently expanding into Mississippi. 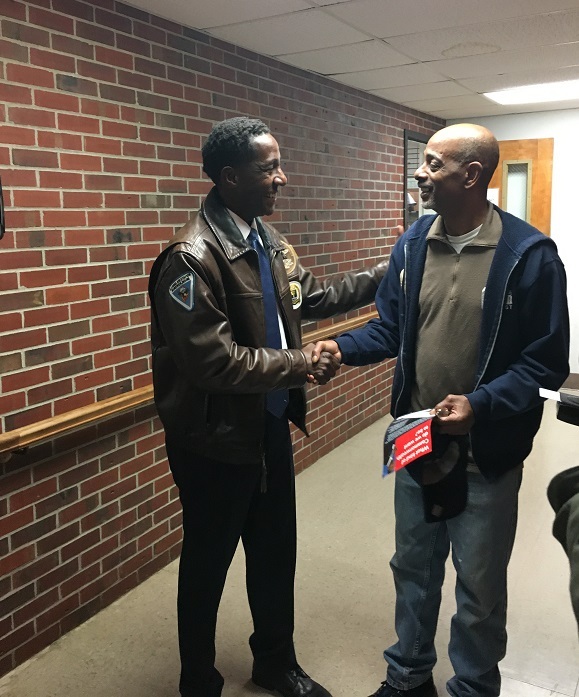 The Mississippi Department of Corrections implemented the concept at one of its facilities in 2016, and so far the initiative has helped at least 56 former inmates and veterans get back on their feet after spending time behind bars. The initiative is based on a program started in 2014 by Soldier On at the Albany County Correctional Facility in New York. Soldier On administers programs assisting veterans in several other states. 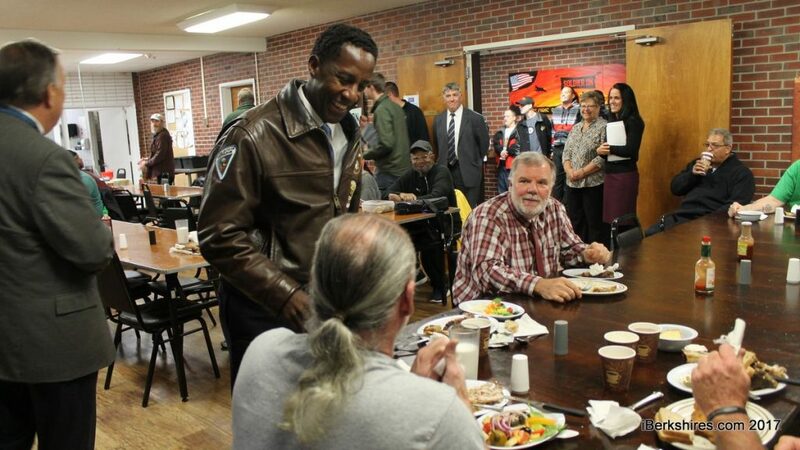 The counterpart inmate veterans program in Mississippi was started with the help of Voice of Calvary Ministries, which assists homeless veterans and their families. Phil Reed, president and CEO of VOCM says the core of the initiative is centered around Moral Reconation Therapy. B.R. Hawkins, the grants manager for Soldier On in Mississippi, says the program is supported by federal grants from the Department of Veterans Affairs and Department of Labor at no cost to state taxpayers. The goal is to reduce the chances of an inmate returning to prison. According to Soldier On, 277 veterans at the Albany County Correctional Facility have been admitted into the program since 2014. Only 12 veterans have returned to prison due to a new charge. Hawkins said she and her team personally follow up with each former inmate helping them restart their lives. She notes many employers may have an issue with hiring a convicted felon, but she’s found employers willing to give those released a new shot at life. 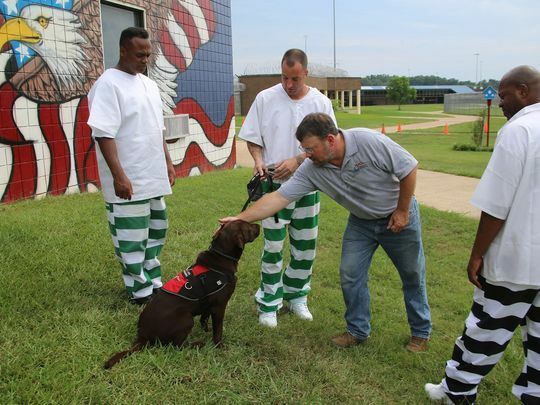 Eligible participants in the program are moved or transferred to a special ‘pod’ or group located at the Central Mississippi Correctional Facility. Once there, the inmates take part in daily classes at the prison. One of those former inmates is Otis Banks, who served in the National Guard before being convicted of armed robbery and kidnapping. He served 15 years in prison after his conviction. “I didn’t have to do what I did, but we all make bad choices at times,” we have to live with those choices,” Banks said, reflecting on his past. Now that he’s out of prison for nearly a year, he has a car, an apartment and a good paying job. Banks describes himself as a devout Christian and said he feels he has a new lease on life after his experience. Banks said the other inmates in the program value their experiences because it offers them another shot at life beyond prison walls. Although some of his former prison mates will never be released, Banks said a sense of camaraderie still existed within the special wing they were assigned to. According to a spokesperson for MDOC, the program will continue to be administered at the Central Mississippi Correctional Facility. Hawkins said she hopes to have 60 veterans enrolled in the classes in Mississippi by the end of the year. Larry, a U.S. Marines veteran, had just watched Roy Assaf Dance perform a duet exploring an intimate relationship between a man and a woman at the Jacob’s Pillow Dance Festival. “Larry” had been eager to participate in a partnership this summer between the prestigious dance center and Soldier On, a nonprofit that helps homeless veterans find permanent housing. The veteran’s name has been changed in this story to protect his identity per his request due to concerns for his family. Four hours earlier, he was lingering alone outside Soldier On’s Pittsfield office, waiting for the van that would take him to the Becket institution. On a warm Saturday morning in July, he was wearing a black suit jacket and jeans, a white shirt with black stripes, gray-rimmed sunglasses and a U2 pin on one of his lapels, exhibiting the aura of an arts scene regular. His attire and posture — chin lifted, back straight — contrasted starkly with the men slouching silently in a waiting room inside just a few minutes earlier, the front desk unattended, a smoky stillness presiding. “Modern dance is very cool,” Larry told me as he waited. As a Berkshire County resident his entire life (he’s now in his late 50s), he had long held an appreciation for Jacob’s Pillow. Yet, he had never visited the site. “It wasn’t, like, my thing,” Larry said. On two consecutive July weekends, Soldier On and Jacob’s Pillow tried to combat this feeling by bringing homeless veterans to the dance center to tour the grounds and take in military-themed performances. On July 8 and 9, groups watched Jessica Lang Dance explore military loss in “Thousand Yard Stare,” and on this day, the veterans would be watching Roy Assaf Dance. In addition to the duet, “Six Years Later,” the Israeli company would be performing “The Hill,” an all-male trio about the Six-Day War’s Givat Hatachmoshet, or Ammunition Hill, battle in Jerusalem. 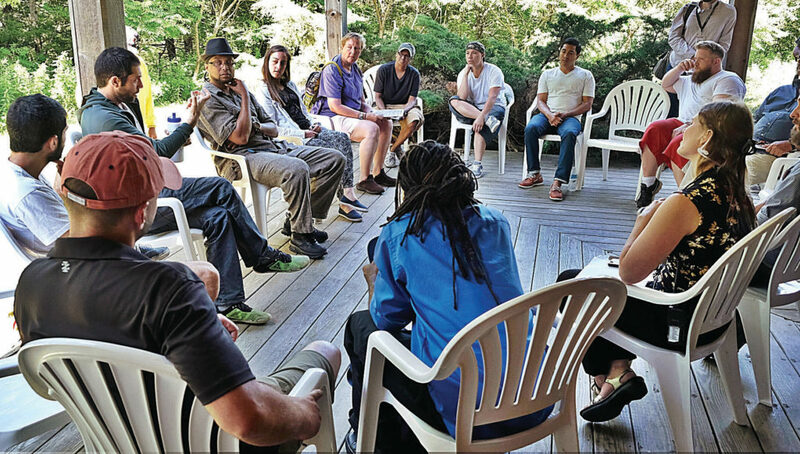 “We thought [the content] might really resonate with the veterans’ experience,” said Thasia Giles, director of community engagement at Jacob’s Pillow, during a telephone interview. Before the previous weekend’s visit, Soldier On case manager and artist-in-residence Nathan Hanford said he hadn’t expected the veterans to speak positively about the experience upon returning to their sites. He thought they would fear ridicule for expressing interest in the arts. To Hanford’s surprise, however, the groups were “glowing,” he said, encouraging other veterans to sign up for next week’s trip. Larry was one of the new recruits, though he wasn’t a tough draw. His mother used to tell him he was a doctor’s baby because his tastes mirrored those of the affluent. “I always appreciated the finer things,” he said. But to say Larry’s current crowd doesn’t have such deep pockets would be a drastic understatement. Larry lives in one of Soldier On’s 39 permanent housing units designated for homeless veterans across the parking lot from the main building, which holds a kitchen, gym and transitional housing. Veterans pay rent through Section 8 and the U.S. Department of Housing and Urban Development’s Veterans Affairs Supportive Housing (HUD-VASH) subsidies, according to Soldier On director of communications Casey DiCicco. The organization also has 87 permanent units in other locations — 44 in Northampton and 43 in Chicopee — and is developing 51 more in Agawam. Eight veterans from the Northampton site were scheduled to meet with six more from Pittsfield on this Saturday, but a few from Pittsfield were unable to attend, leaving driver Steven Jette (a veteran and Soldier On member himself), E.J. Schlup and Larry. When Jette arrived, I took one of the empty seats. Larry soon began telling the story of how he became homeless. Following his stint in the Marines, Larry worked in a local hospital. He was married with two daughters. “I was a regular Joe,” he said. But then health problems cropped up — diabetes and hepatitis C, he said. Doctors put him on Interferon to treat his hepatitis C, but a vicious reaction to the medicine ensued, he said, rolling up a pant leg to display the scaly, dark scars it left behind. To fight the pain, a doctor prescribed fentanyl, but that was too strong for Larry. The pain medication is highly addictive and has played a significant role in the nation’s opioid epidemic. “It just takes you over,” Larry said. He quickly became addicted to the drug and soon found himself using others. Additionally, his marriage had fallen apart due to his “shenanigans.” When his girlfriend grew tired of them, too, he had nowhere to go and was too proud to ask his daughters for money. He was homeless for about a month, he estimated, before finding Soldier On. I changed the subject, addressing what Hanford had raised a few days earlier: Was attending a modern dance performance viewed as an affront to masculinity in the veteran community? “That’s a good question,” Schlup responded instead, swiveling in the passenger seat. He arrived at Soldier On in June, staying in Pittsfield’s transitional housing as he continues to deal with complications from a severe stroke he suffered in 2015. Though he was dressed more modestly (blue jeans, T-shirt, Nikes) than Larry, Schlup knew the terrain they were about to traverse much better. For more than a decade, he and his wife, Diana, visited Jacob’s Pillow regularly while they were living in New York state. The dancers enthralled Schlup, particularly the women (“it’s amazing the devotion and focus it takes”), but he said American men’s egos don’t often allow for this appreciation of female independence. “A lot of guys would be terribly intimidated by this,” he said. Intimidation isn’t the first feeling that Jacob’s Pillow spectators usually experience upon entering the campus. Nestled deep in the Becket woods, the dance center’s scenic grounds are naturally inviting, and on this sunny Saturday, with children playing in fields, dancers eating lunch among their admirers and light beaming through the trees, the area even acquired an enchanting, communal quality. But there was some unmistakable tension when we arrived. After facilities coordinator Jay Lopez, a veteran himself, waved us into the parking lot, we met up with Giles, fellow community engagement staffer Ivy Kuhn and Hanford on the center’s main pathway. Giles and Kuhn began outlining the plan for the day (tour, lunch, performance), but Hanford looked concerned. “[I’m] not in contact yet with Leeds,” Hanford said, referring to the larger group making the trek from Northampton. In the ensuing moments, Giles tried to override this disquiet, asking Schlup, who visited the previous weekend, how he was doing. “I’m trying to keep my brain from shorting out,” Schlup answered, referencing his ongoing neurological problems. Seven men from Leeds arrived shortly thereafter, bringing energy to our languishing group. They greeted everybody around the circle, offering handshakes and hugs. One of them, Gilbert Carr, quickly began a long afternoon of phone documentation, snapping selfies and shooting videos. 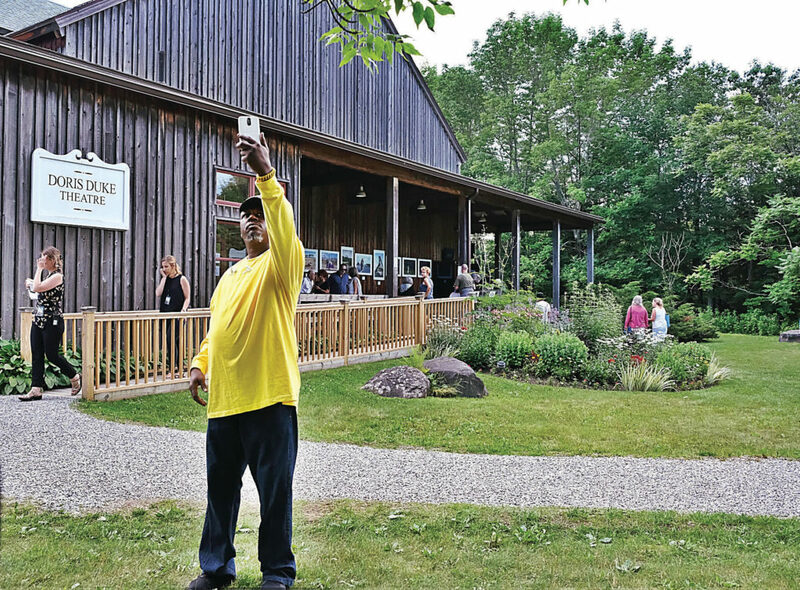 Gilbert Carr taking a selfie in front of the Doris Duke Theatre, where the group saw performances of Roy Assaf’s “Six Years Later” and “The Hill.” Becket, Mass. July 15, 2017. Kuhn started the tour by leading us to a boulder behind the Hunter House: It was Pillow Rock, one of the inspirations for the site’s naming. After the group posed for a photo, I walked with Isaac Paul, a U.S. Army veteran, to The Ben & Estelle Sommers Studio. He had attended a session last week, too. “I’ve never had any attention like that,” he said. Inside the studio, it was hot, leading to some questions about air conditioning. Nope. “I was a bit of the running joke,” Lopez recalled during a subsequent telephone interview, though he says his fellow Marines have since watched him perform. The veterans certainly appreciated Lopez’s unofficial role as bridge between military and dance, but they hardly needed it. The group asked questions and studied their surroundings intently throughout the tour, which included stops at the Ruth St. Denis Studio (Hanford’s “church” during his decade-plus stint at the festival) and the center’s archives. During lunch, I sat with Carr and Ernest Hughey, a 31-year-old U.S. Army veteran who has spent time in jail since his service. He joined Soldier On in 2015 and was thrilled to be visiting Jacob’s Pillow because of his own passion for the art form. “I just watched Michael Jackson,” Hughey said of his early dance influences. Hughey was particularly struck by the famed Inside/Out Stage, where the group congregated after lunch before proceeding to the Doris Duke Theatre for the afternoon’s main event. “It’s been terribly enjoyable,” Schlup reflected before the performance. “If any of you guys feel like it’s too much, you should feel free to exit the theater,” Hanford told the huddled male group outside the venue. Still, the veterans encountered some difficulties. In “Six Years Later,” a prolonged period of inactivity preceded the duet, which made veteran Anthony Stirlacci anxious. He was worried something had gone wrong. “Some stuff we can take. Some stuff we can’t,” he said during the intermission. Stirlacci also cited the theater’s darkness as a concern; the previous week had been brighter, he said. The next composition, “The Hill,” had more potential to trigger, with depictions of death and struggle. At one point, a dancer heaves a fallen one over his shoulder. But the show was mostly harmless, according to many of the veterans. One oversight was the use of a sparkler near the front of the stage. From the veterans’ position near the top of the bleachers, it was difficult to see what was happening. “I was just hoping it didn’t blow up,” Lewis Gomez said later, before adding that the incident didn’t impact him much. He was one of many in the group who preferred the first dance. After “The Hill,” Hughey was one of the first in the theater to stand. “I wanted to see more,” he told me as we descended the stairs. Minutes later, he was hugging Assaf, who met with the veterans outside the theater for a question-and-answer session about his time serving in Israel’s military and its influence on his work. “It was not my intention to make a piece about combat,” he explained. U.S. veterans in discussion with Roy Assaf and Avshalom Latucha at the Doris Duke Theatre at Jacob’s Pillow. Becket, Mass. July 15, 2017. “Mission-focused,” Schlup said of Assaf’s performance after we piled back into the van heading to Pittsfield. Earlier, Larry had offered a more general reflection on the day. “I think I found my new hangout,” he said. Though Schlup and Larry clearly appreciated the afternoon, I pressed them on the potential for the show to re-traumatize others. Larry mostly kept quiet. Schlup stressed that it’s impossible to account for all potential pitfalls. “There’s different triggers for different people,” Schlup said, noting that they can range from a dog barking to the smell of jet fuel. Schlup’s father, for instance, had been in the military and could easily spiral downward. “You were always dancing in a minefield when you were around him,” Schlup said. For one day, at least, Soldier On members could enjoy their own dances. Lewis Gomez at the public dance rehearsal on the outdoor Inside/Out stage at Jacob’s Pillow. Becket, Mass. July 15, 2017.